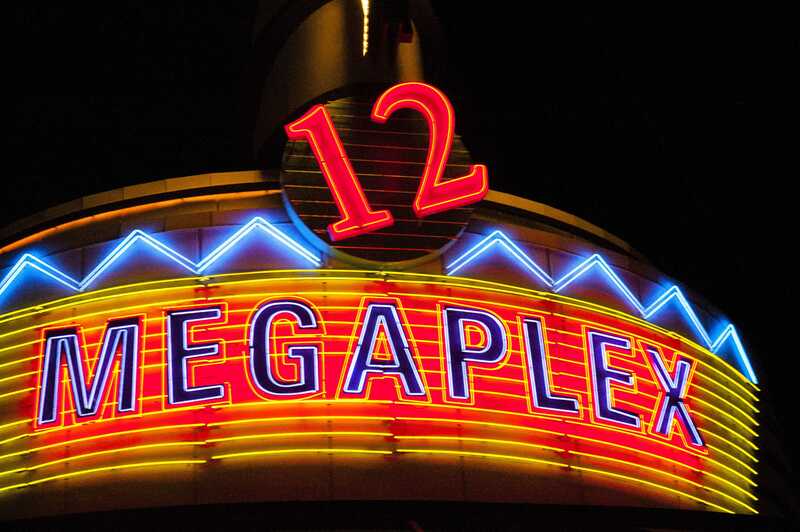 Photos of Megaplex Theaters at the Gateway on the evening of April 3rd, 2018. The summer movie season has a reputation for bringing the biggest blockbusters to viewers. Meanwhile, most Academy Awards contenders gather at the end of the year. The in-between time, from Labor Day to Halloween, might not have a solidified reputation for producing hit movies. However, if you know where to look, there are some hidden gems and pleasant surprises coming to theaters. Here are some of the most notable releases coming out in September. As the weather cools down and Halloween approaches, horror films become the top choice for many strong-willed moviegoers. This year, “The Nun” looks to be one of the earliest — and most high-profile — horror films to fit the bill. An installation of the popular film series “The Conjuring,” the film stars Demián Bichir, Taissa Farmiga and Jonas Blouqet. “The Nun” continues the tradition of combining supernatural horror with Catholic imagery, promising a thrill ride of jump scares, disturbing images and the hair-raising twists which made “The Conjuring” a runaway hit in 2013. Netflix has been releasing an increasing amount of original films, which is good news for those of us who want to watch new movies without leaving the living room (or paying eight dollars for popcorn). This feel-good romantic comedy is a great candidate for a night in. Updating the classic play “Cyrano de Bergerac” to a modern high school setting, “Sierra Burgess Is a Loser” combines mistaken identities, unrequited crushes and surprising alliances into one story of a girl trying to find herself in the punishing social landscape of high school. Luckily, there are still options for viewers seeking big budget action movies even after summer ends. “The Predator” is the latest installment in the “Predator” film series. (The last film, “Predators,” was released in 2010). This film follows Predators, an alien species with a dangerous talent for hunting humans, who are accidentally sent to earth by a child (played by Jacob Tremblay). Featuring a diverse cast that includes Trevante Rhodes, Keegan-Michael Key, Olivia Munn and Sterling K. Brown, this film hopes to offer “Predator” monster movie thrills to a new generation. After a well-received premiere at the Sundance Film Festival earlier this year, this unique film is finally getting a theatrical release. Starring Nicholas Cage, “Mandy” is a thriller set in the remote California desert during the 1980s. When a horrifying cult and gang of mysterious creatures unexpectedly attack Cage’s character, he must go to extreme measures to defend himself and his girlfriend Mandy (Andrea Riseborough.) “Mandy” has already received critical acclaim for Cage’s performance and its intense, surreal plotline. Tiffany Haddish and Kevin Hart are two wildly popular comedic actors with a similar sensibility ­— both possess a manic energy and an unshakable optimism. The two knew each other as stand-up comics — Hart even loaned Haddish money during a particularly difficult time in her life. It feels bizarre that the two have never appeared in a film together before, but the comedy film “Night School” will be their first collaboration. Hart stars as a high school dropout returning to school to earn his GED, while Haddish plays his disgruntled teacher. Spoiler alert: high jinks will ensue.